The Malaysian Bar will convene an extraordinary general meeting (EGM) to address what it described as the "blatantly unconstitutional" appointment of Chief Justice Md Raus Sharif and Court of Appeal president Zulkefli Ahmad Makinudin as additional judges. "The Malaysian Bar is of the considered view that the appointment of Md Raus and Zulkefli as additional judges and to continue holding the position of the chief justice of the Federal Court and president of the Court of Appeal respectively is blatantly unconstitutional. 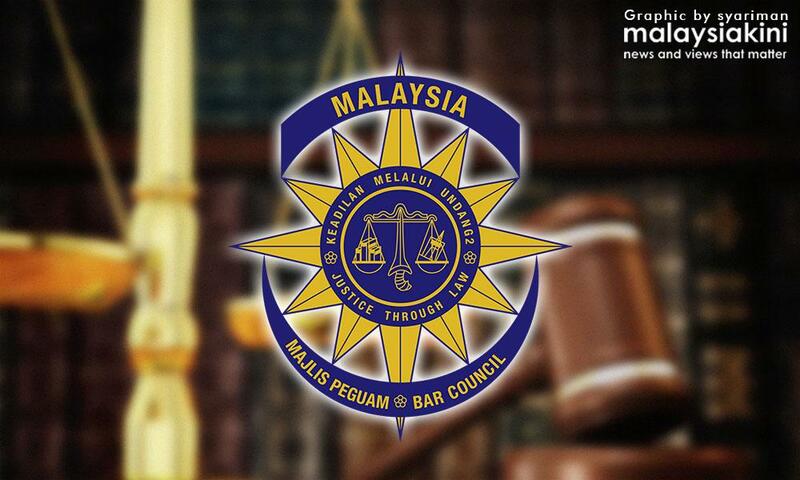 "The Bar Council at its monthly meeting today decided to convene an EGM to discuss the said appointments," Malaysian Bar president George Varghese said in a statement today. Both judges face mandatory retirement later this year, at age 66 and six months. However, Article 121(1A) of the Federal Constitution allows for the appointment of additional judges which are not constrained by age limits, on the recommendation of the chief justice. Yesterday, the Prime Minister's Office (PMO) announced that with Md Raus and Zulkefli's appointment as additional judges, they will retain their existing offices for another three and two years respectively. At least two retired senior judges, including former chief justice Abdul Hamid Mohamad, have spoken out against the appointments. They argue that the appointment of additional judges is only for an ordinary federal court judge and cannot be used as a backdoor to extend the tenure of the chief justice or other key judicial offices. The PMO said the appointment of Md Raus and Zulkefli are based on the recommendation of then chief justice Arifin Zakaria who retired on March 31. However, critics have also questioned whether Arifin had the authority to recommend additional judges for periods that had past his retirement.